There is no way I can begin talking about this and not get emotional. We read about it and watch it in the news every other day, but it is so different when you read the heart wrenching stories of the acid attack survivors. Probably that’s when it hits us that we must not take these things as a passé or as something that “keeps happening in the country”. Isn’t it scary that one needs a medical prescription to buy medicines that heal, but something as dangerous as a bottle of acid has a free flow in the market? That it is cheap and easily accessible is what is more disturbing in the first place. I cannot begin to fathom what it must have been like for Kangana Ranaut to watch her sister Rangoli Chandel to go through all the pain and psychological trauma at the young age of 23. In an exclusive interview with Pinkvilla, Rangoli Chandel finally opened up about surviving the acid attack and how it changed her life. For those of you who have been following Kangana Ranaut from the start of her career will remember all the news reports about Rangoli’s acid attack. Here are some excerpts from the interview. For all of us who have been dumbly buying into movie plot lines that show the “magic of plastic surgery”, really need to know Rangoli Chandel and her experience and take about the same. 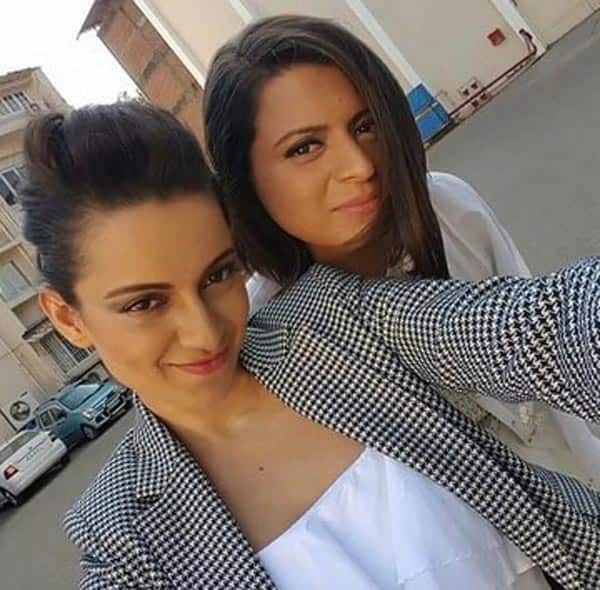 Kangana Ranaut showed immense courage and stood by her sister through all of this and more. And amidst all of this was that one question that Indians do not stop obsessing about. The person could be dying, but marriage is something that takes the front seat, the wheel and the priority over everything else that is much more important to human life. The way Rangoli Chandel reacted to the impeding marriage is brilliant. Rangoli’s story is not just an inspiration to one gender; it is for everyone. Women and men both have been subjected to violence time and again. What both these sisters have conquered is beyond brave. Rangoli Chandel’s interview is a huge wake up call to the kind of laws the country has and the loopholes there are in it. Kangana Ranaut and Rangoli Chandel are the face of brave women today. This is a beacon of strength to many. Thank you for being what you are girls!